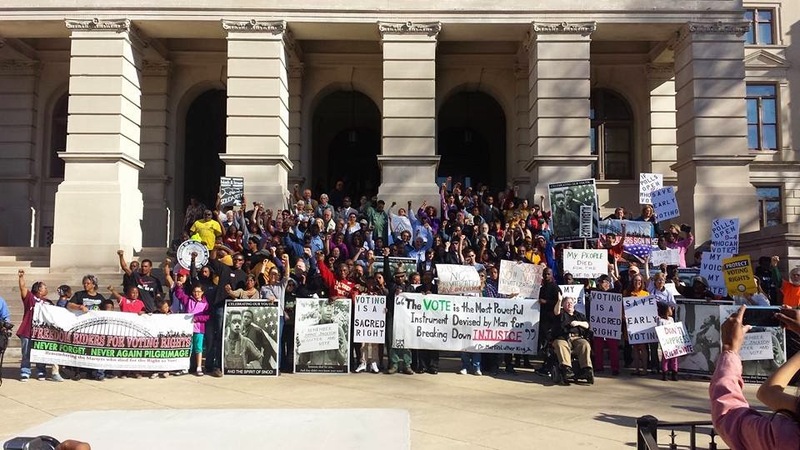 The 2014 legislative session in Georgia saw some of the most extreme regressive legislation seen in a generation and included attacks on the poor, women’s rights, immigrants, the working uninsured, voting rights, victims of gun violence, people of color, and public education among others. Numerous bills that will turn the clock back in Georgia are now awaiting Governor Nathan Deal's signature in order to become law. 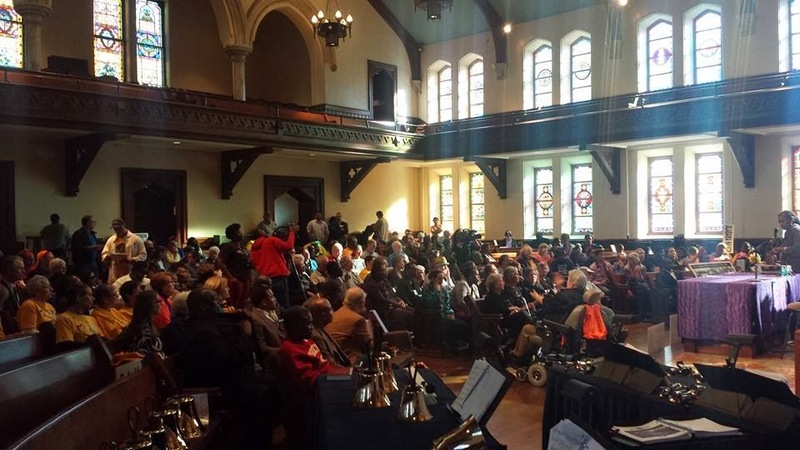 On Monday March 31, community groups, faith leaders, American Friends Service Committee,NAACP Georgia, Atlanta Jobs With Justice, and concerned Georgians will come together under the banner of Moral Mondays to plan out their response. A rally is being organized at the Governor's mansion on April 7, urging him to veto the immoral legislation. 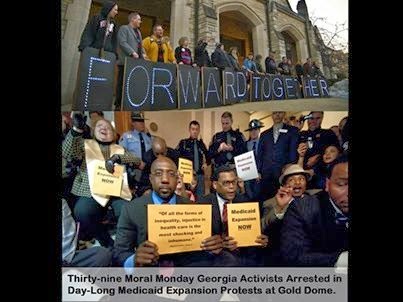 The group has also launched a petition calling on Governor Deal to veto HB 990 and expand Medicaid in Georgia with a goal of reaching 65,000 signatures (10% of the number of Georgians who would be eligible for healthcare under the expansion) and plan to deliver the petition to the Governor at the demonstration. Reverend Raphael Warnock of historic Ebenezer Baptist Church will be present at the meeting on Monday and plans to give a brief welcoming. 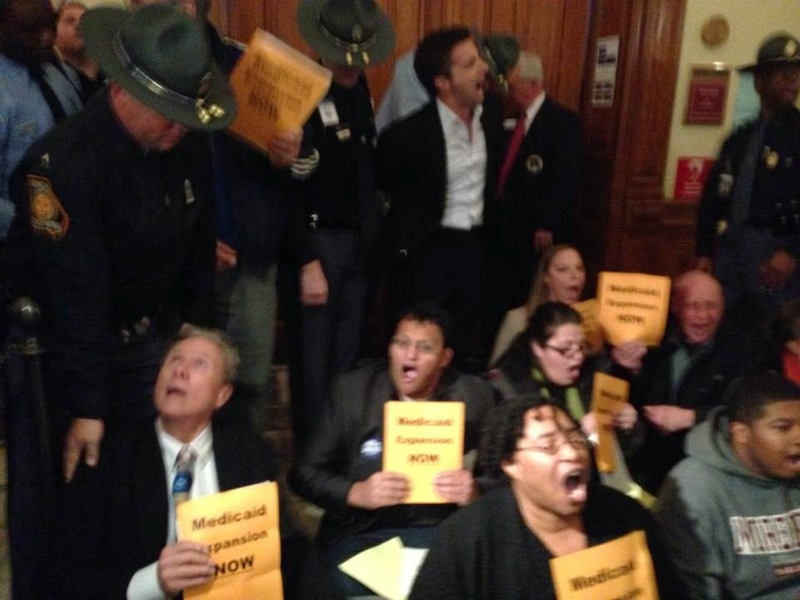 Reverend Warnock, who was recently arrested at the Capitol for protesting the Governor's refusal to expand Medicaid, was quoted as saying "It is no exaggeration to say that we are here on a matter of life and death." As many as 10 Georgians die each day from a lack of access to healthcare. With the stakes so high, and with Georgians increasingly supporting Medicaid expansion, plans have been made across the state this week to collect signatures in churches, on campuses, at events, and door-to-door in neighborhoods in order to reach the ambitious goal of 65,000 signatures by April 7. Ronnie Mosley, a Morehouse student who plans to collect signatures on campus this week said, "It's gonna take a lot of work, but we believe we can meet our goal. People are tired of elected officials putting politics before what is best for our state. Most Georgians want the expansion, so we're committed to getting these signatures and sending a clear message to Governor Deal that he can't ignore our voices forever." 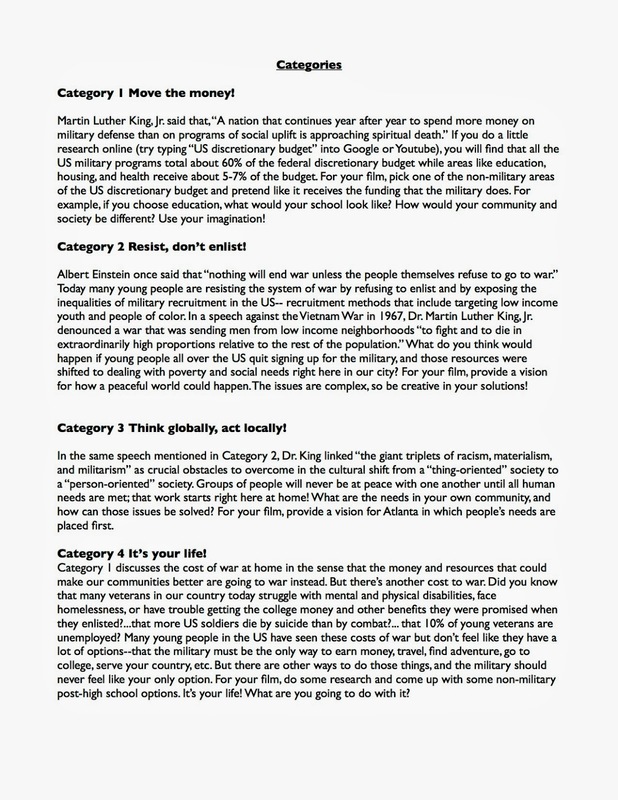 An online version of the petition can be found by clicking here. DeKalb County Court Obstructing Justice In Mark Harris Case? The Judge presiding over Mark Harris' case is making some questionable demands. 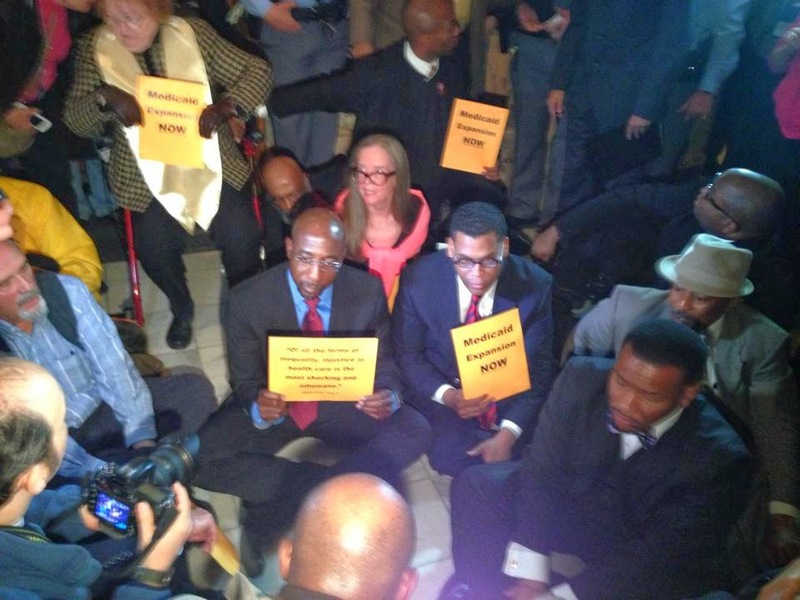 Demands like trying to have lawyer Mawuli Davis remove himself representing the Avondale 4! On Thursday morning, "Too Much Truth" radio host, Derrick Boazman will be holding a press conference at the Dekalb County Courthouse alongside American Friends Service Committee, Occupy Our Homes Atlanta, Malcom X Grassroots Movement, and the NAACP DeKalb County to bring those demands to light! 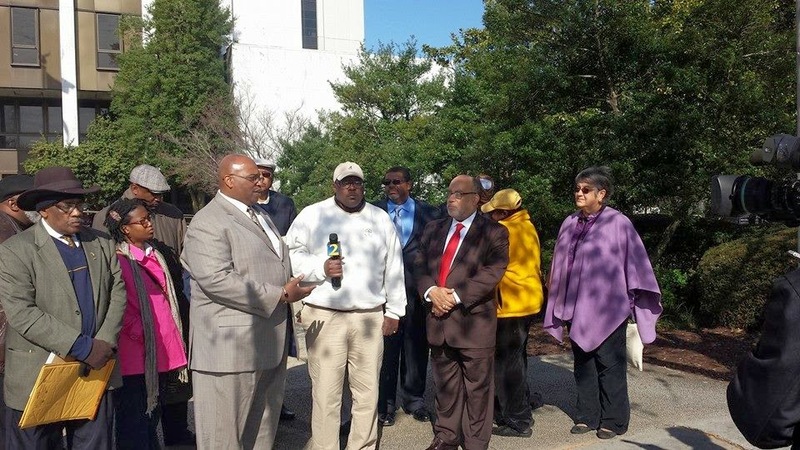 As the press conference began thousands of concerned residents began calling the DeKalb solicitor upset that the judge would consider obstructing such an important case. The Question has been asked, has Fannie Mae played any role in this clear obstruction of justice? On Monday American Friends Service Committee calls on folks to stand with Desert Storm veteran and home defender Mark Harris and brave attorney Mawuli Davis. There will be a rally from 8-9am in from of the DekalbCounty Courthouse and then we will pack the courtroom at 9am. AFSC will be bringing several gallons of warm coffee to keep spirits up! Please sign and share Mark’s online petition! Get Sick, Lose Your Home? This past Tuesday American Friends Service Committee joinedOccupy Our Homes Atlanta at IBM's Atlanta office for struggling home defender Zannie Jackson. 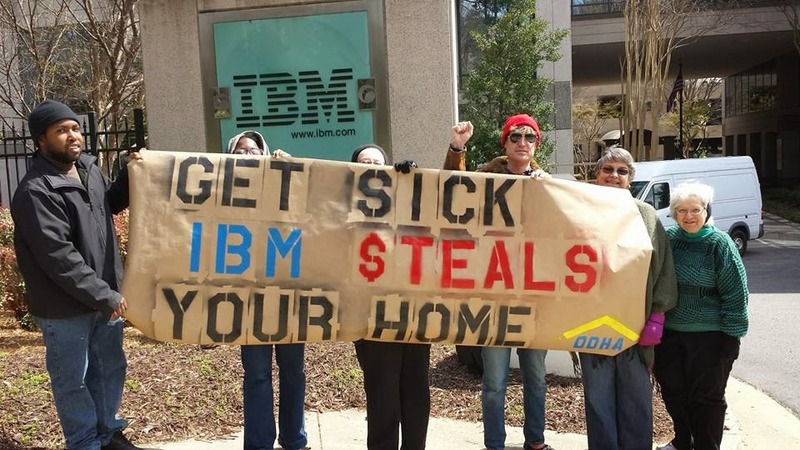 IBM owns Seterus Inc., a mortgage servicing company that is refusing to make a deal Zannie can afford to stay in his home. While all this is going on, Zannie is fighting for his life as his kidneys have failed. Zannie is kept alive through dialysis machine he has to hook himslef up to 4-5 times a week. We spent time passing out flyers outside the building to folks driving by. Zannie's story is unfortunately nothing new. When everyday people get sick they often times lose their home. In Zannie's case the lender could easily make a deal that would not only be profitable for them, it would keep Zannie in his home. It's been a tough week for Zannie. Seterus let him know that they were unwilling to offer a deal he could afford, and he found out the his prospects for a new kidney weren't looking good as he wouldn't be able to afford the medication that he would need to take after the surgery. So it’s been an extremely eventful few weeks The Atlanta Economic Justice Program of the American Friends Service Committee was one of several organizations that made the initial call to organize Moral Monday Georgia and we’ve been a convener during the ongoing process. We are really proud to be a part of a really exciting coalition in Georgia! In what has been called on of the worst Georgia legislative sessions in 50 years. 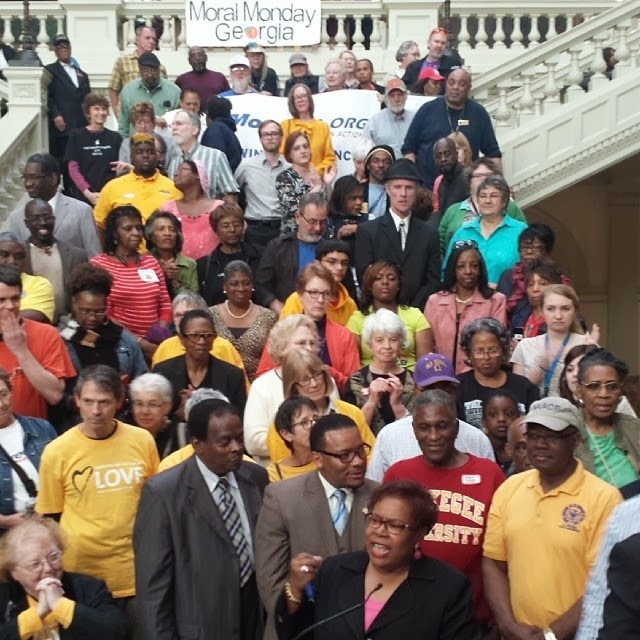 Moral Monday Georgia's bold action ensured that a powerful spotlight shinned on policy's that basically declare war on the poor, women, working families, people of color, and basically everyone that's not already wealthy. There have literally been hundreds, below I'm including a few. Check out some of the coverage here. Student Career Alternatives Program (SCAP) is hosting it's fourth annual It's My Life contest! 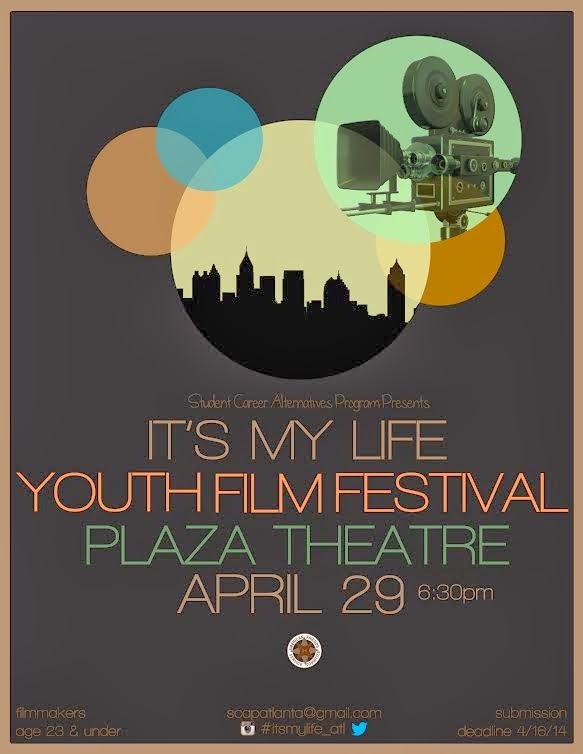 It's My Life - Youth Made Film Festival encourages metro Atlanta youth aged 23 and younger to create shorts that respond to one of the four provided prompts. The genres can span the whole spectrum from animations, documentary, music video, narrative to spoof. Films are to be three minutes or less. 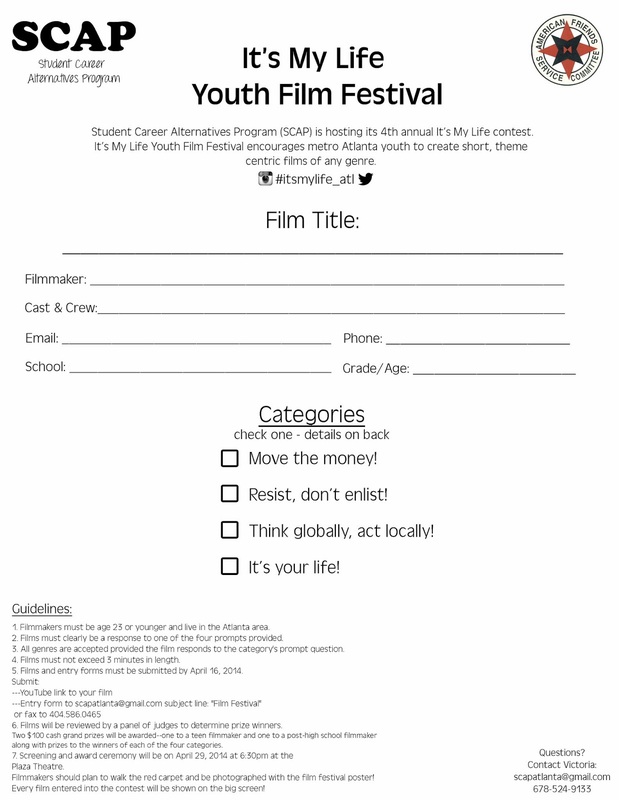 Film submission deadline is April 24th and all entries will be screened at the Plaza Theatre April 29, 2014 - See your film on the big screen! 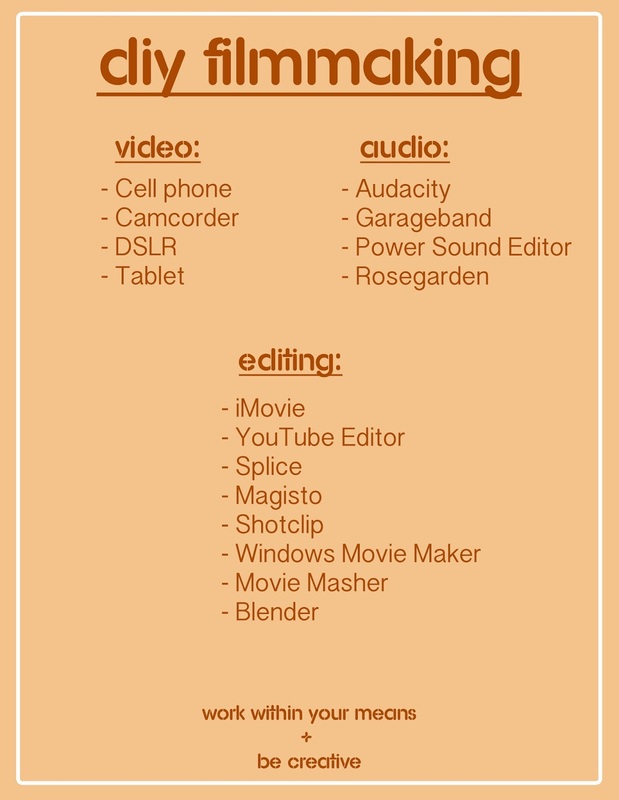 Prizes will be awarded to every category and two cash grand prizes! 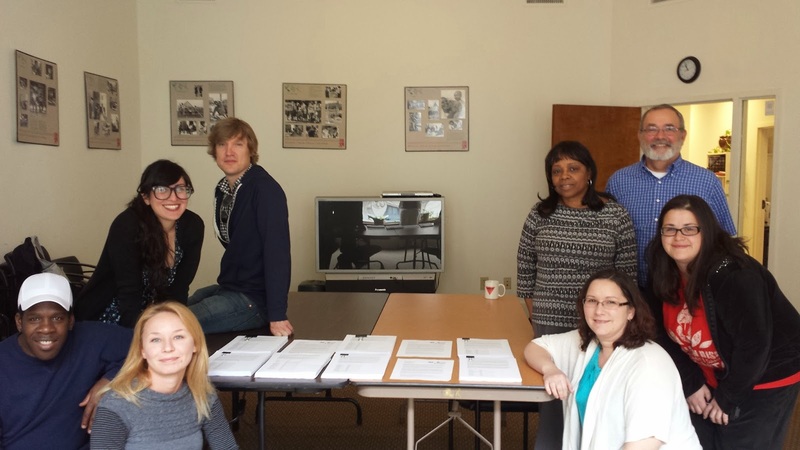 Today American Friends Service Committee joined the Home Defenders League and Occupy Our Homes Atlanta in an effort to deliver a letter and petitions to Georgia Congressmen John Lewis, David Scott, and Hank Johnson. Similar deliveries are happening in 15 states today concerning the very serious issue of our governments approach to housing; more specifically Fannie Mae and Freddy Macs unwillingness to work with struggling Americans. Fannie Mae and Freddie Mac were created as government sponsored enterprises (GSEs) with the mission of expanding access to homeownership and affordable housing. After the housing bubble burst in 2008, Fannie and Freddie were bailed out with $180billion of tax-payer funds and placed under the conservatorship of the newly established Federal Housing Finance Agency. Fannie Mae and Freddie Mac, which together are now 79% tax payer owned, own or control over half of all mortgages- over 90% of new mortgages- in the United States. to housing justice in Atlanta, we see this impact firsthand every day. • Putting more than $570million into the National Housing Trust Fund that has been withheld by Mr.
loans made in communities that may implement local principal reduction programs. After delivery a letter and a petition to pressure Mel Watt, we also left petitions with each congressman that were for individual local housing justice campaigns that were in their perspective districts. I hope you will consider signing each of those petitions! When Voter Rights Are Under Attack, What Do We Do? Yesterday as part of the Moral Monday Georgia Coalition, we participated in a spirited rally inside the Georgia Capitol the brought together hundreds of people to opposes the supreme courts decision to gut the historic Voter Rights Act and continued attempts by Georgia law makers to put up roadblocks for Georgia voters. 49 years after the historic Voter Rights Act was signed the US supreme court has essentially attempted to destroy what so many fought and died for. It's not just the supreme court that's threatening less access to the ballot box, right here in Georgia House Bill 891 attempts to dramatically reduce early voting. Why are early voting periods important? Early voting periods provide a chance to vote outside the election day, accounting for work, family obligations, transportation limitations, and other life realities of voters of color, workers, and the poor. After the rally we headed across the street for a mass meeting on the Voter Rights amendment at Central Presbyterian directly across the street.We will be joined by several buses and a 50 car caravan from Selma as folks make there way from Selma to the DC to bring attention to increased voter suppression that resulted from the Supreme Court's 2013 dismantling of the Voters Rights Act.